* Total number of reviews and star-ratings are based on data collected during the time period Magic Valley Electric has been using the ReviewBuzz system and may not directly match the data found on each public review site. Great service, Alex and Clayton were Fantastic! We will use them again in the future! I highly recommend Magic Valley Electric. This was our second time having the Magic Valley Electrical team at our home. Both Ben and Bradley were easy to work with, very professional and personable. They came in and gave me a quote before starting the work, cleaned up after themselves. Quick and efficient service, very nice work. Dakota is great! Presented several options to solve the problem with my older home's wiring. I am happy with my selection and the service. Dakota and Zak are Great!!! We needed wiring for a new hot tub and Magic Valley Electric was highly recommended. They did not disappoint!! Fast, friendly, clean and knew what they were doing. Great to know they have a plumbing division, we will use them again for all electrical and plumbing needs! 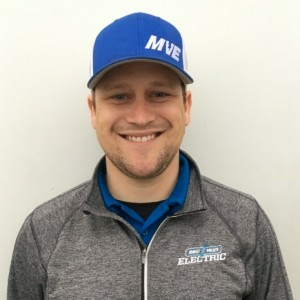 MVE always performs outstanding work but the best thing is that their technicians run through what they found, how they found it and recommend the best fix for it. Oh yeah, they also speak to you in plain language so everything is easily understood. Magic Valley Electric has helped me out with several projects now, and each time it has been a positive experience. 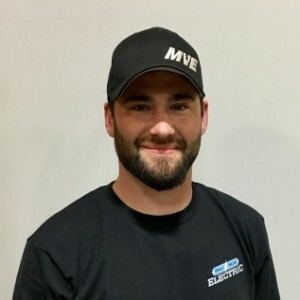 They are courteous, prompt, and every electrician (most recently Dakota) has been a pleasure to work with. They back up every promise! Thanks a bunch! Dakota knew exactly what was going on, and how to fix the problem the previous electrician made. I never got my invoice for the job. He showed up late, he forgot things and had to go get them. All time I Belive I was charged for. The 70$ qoute fee was not deducted from the price of the job once at accepted the bid line I was told would happen. He took many more hours than was expected so the price quote I got for 2 people to do the job was what I paid for just him to do the job. He complained all day about doing the job. It took him 2 hours to hammer in 2 grounding rods. We where informed that due to us not having to run new wire up from the meter base we would be saving money. We purchased all breakers and the box. It took him 8.5 hours to upgrade a breaker box and put in 2 grounding rods. Alex arrived when expected surveyed what had to be done and informed me what cost would be upfront and started work without further help from me. He priced the next project and again gave me a figure and completed the work. They were on time and did a fantastic job troubleshooting my kitchen lighting issues. Alex suggested some new LED lighting and had it installed with dimmers in short order. He was very pleasant and professional. I’ve requested an additional quote to have more lighting installed in other areas of the house. Great job! Customer service is always a top priority at Magic Valley Electric. Our BBB Membership rating is like a badge of honor as we continuously strive to provide the best experience for our clients.